Kos is the third largest island of the Dodecanese and is located in the southeastern Aegean Sea, south of Kalymnos and north of Nisyros, and just 3 nautical miles from the coasts of Asia Minor. There are multiple reasons which make Kos worth visiting. Kos is an island rich in monuments. The tour of the island gives you the opportunity to discover unique and stunning scenery. Make a tour around the island and you will not lose. Besides the attractions, the island has many natural beauties. Do not forget to visit the hot springs, which have healing properties. 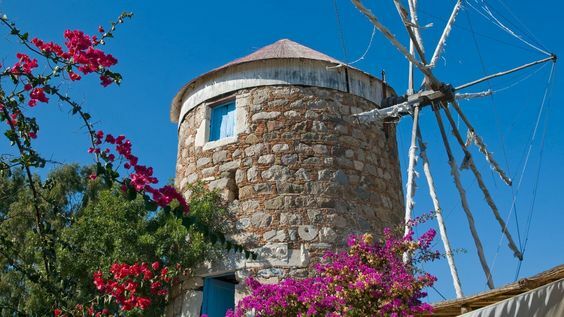 Kos is also a modern tourist island and is rightly ranked as one of the top tourist destinations, among other islands such as Mykonos, Santorini, Rhodes and more. It offers many possibilities regarding accommodation, food, cafes, sports, excursions, night entertainment. Enjoy a traditional Greek night and get to know the Greek music. The island is very well known for its cycle lanes this is why Kos is often characterized as the island of the bicycle. For this reason, there are various cycling trips. If you are a horse riding lover, respective trips for beginners and non are offered. The whole island has beautiful beaches, organized and not. Kos is a great place for windsurfing, jet-skiing or even sailing, while it is preferred by many as an ideal place to plan their wedding.